The Indo-German Teachers Program on the topic „Organic Electronics“ initiated by Dr. Prof. Amitabh Banerji took place in collaboration with Prof. Arnab Bhattacharya at Tata Institute of Fundamental Research, Mumbai in December 2017. 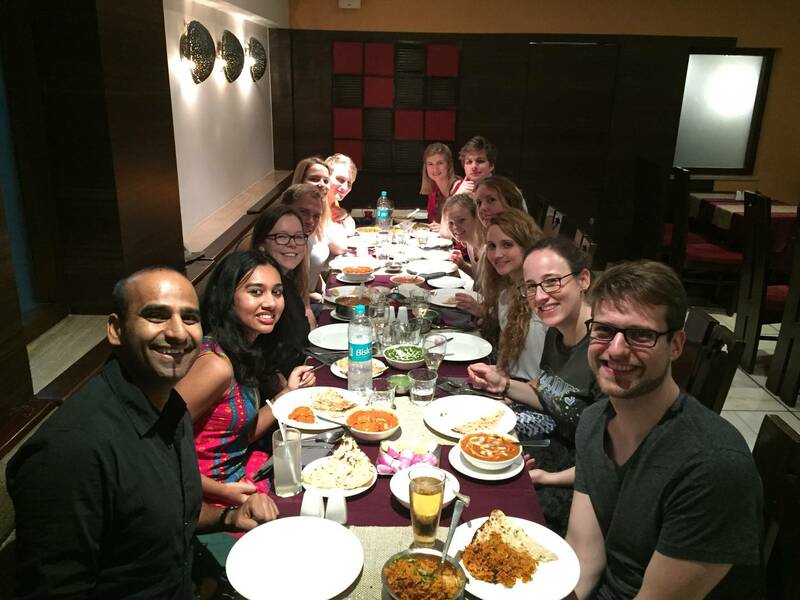 Eleven students from the University of Cologne participated in the program and accompanied Prof. Banerji to Mumbai. 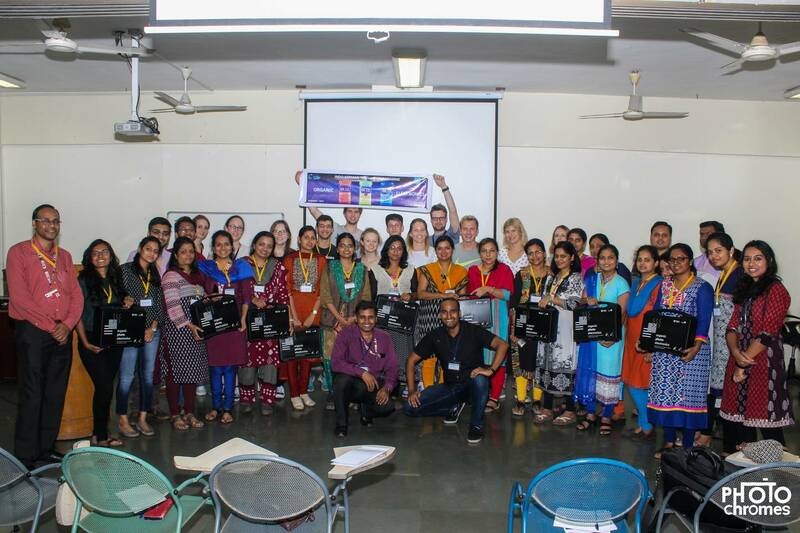 The most important aspect of the program was to have a platform where the Indian teachers and the German students could interact with each other and this platform was provided by the workshops on „Organic Electronics“. Organic Electronics is a future technology leading to innovative products such as transparent and light weight solar cells or high efficient LEDs made from organic compounds. 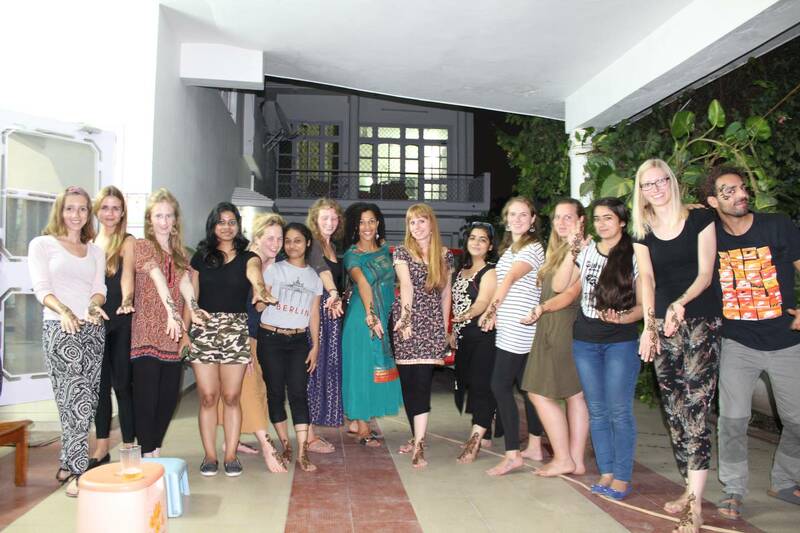 The students carried out three experimental workshops with 30 Indian teachers under the guidance of Prof. Banerji. During the workshops, they exchanged views with the teachers about the various aspects of the Indian school system, teaching curriculum, teaching methods etc., which helped them to expand their knowledge in this particular field. The workshops were equally beneficiary for the Indian teachers; they were provided with essential materials required to carry out the „Organic Electronics“ experiments in their classes and learnt new methods of research and experiments. The program was not just limited to the workshops and gave the students ample time to learn about the people, culture, lifestyle etc. of the country. 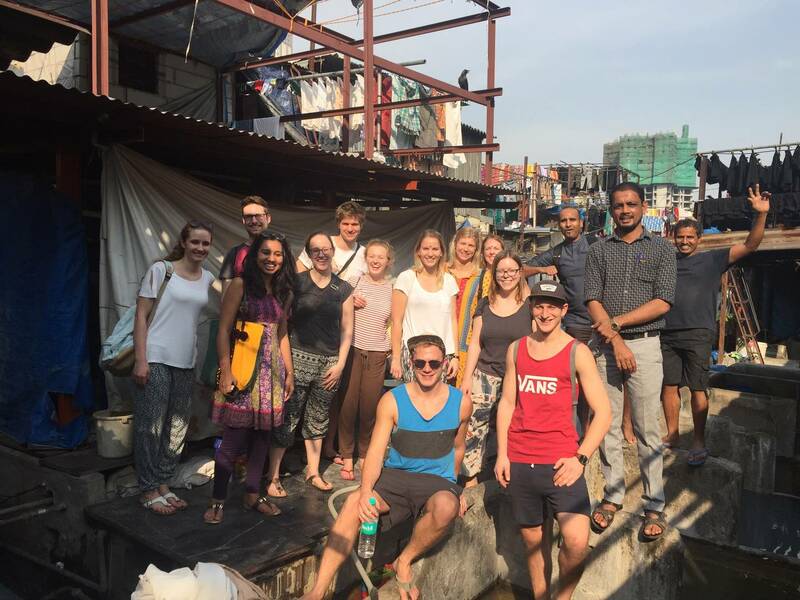 The students visited various places in Mumbai like Prithivi Theater, Elephanta Island, National Park and also various Hindu-Temples. But the main highlight was the visit to a tribal-school in a small village outside the main city of Mumbai. 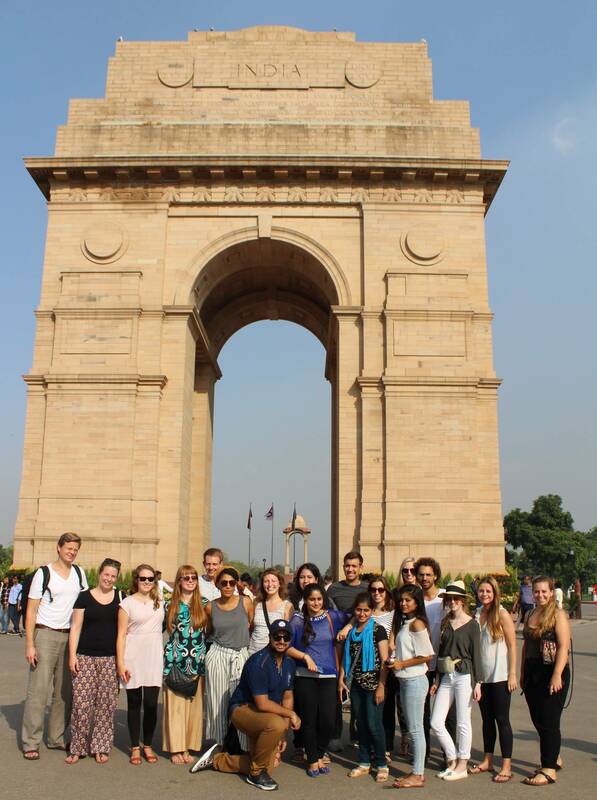 The program was a great success and turned out to be a great opportunity for both the German students and the Indian teachers to learn from each other. It is very important for the young generation to have an understanding of various cultures besides the subject-specific knowledge received in the classroom and this program provided exactly that to all the participants. 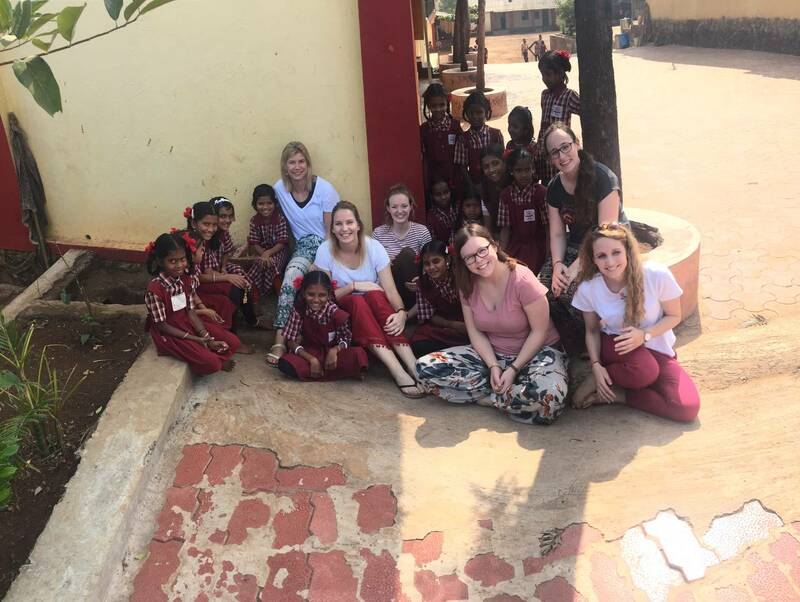 An insight into the research and work being done in two countries provided the students with an opportunity to develop new ideas and concepts for their own future research. 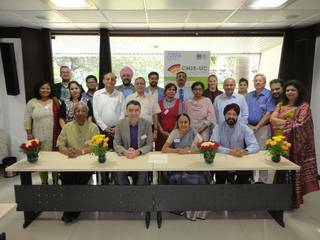 Besides that, the Indian partners/teachers also received the materials developed in Germany which in turn lets Indian school students learn advanced experiments at the school-level itself. The Center for Modern Indian Studies (CMIS) and the German Research Center for Comparative Vocational Education and Training (G.R.E.A.T.) under the direction of Prof. Dr. Matthias Pilz from the University of Cologne (UoC) were hosting a conference about vocational education and skill formation on the 24th and 25th of October in Delhi. The hosts were more than happy to welcome numerous highly-respected researchers from several Indian and German research facilities like Prof. Dr. Santosh Mehrotra (Jawaharlal Nehru University), Dr. Uma Gengaiah (Indira Gandhi National Open University), Prof. S. Nayana Tara (Indian Institute of Management Bangalore), Prof. Mona Khare (National University of Educational Planning and Administration), Dr. Usha Ajithkumar Malayankandy (Socio_economic Research Institute), Prof. Dr. Ganapathy Palanithurai (Gandhigram Rural Institute, Deemed University), Dr. Santosh Prusty (Indian Institute of Management Shillong), Prof. Dr. Regan Venkatram (Tamil Nadu Agricultural University), Prof. J.S. Sodhi (International Management Institute) and many others. The topic of the conference was the past and the future of research in the field of Vocational Education and Training. The researchers presented their various projects about Vocational Education and Skill Development. Those projects were arranged with the help of the CMIS and the German funding agency DAAD (German Academic Exchange Service). The projects had a wide range within the field of Vocational education like e.g. the quality of ITIs, informal learning in the informal sector as well as the demand-driven approaches in Skill Development. Due to the fact that the funding of the CMIS and the DAAD will expire in the end of 2017, the participants thought about the future of research in India in the second part of the conference. Not only funding was discussed during the workshops but also the direction and feasible topics for research in future. 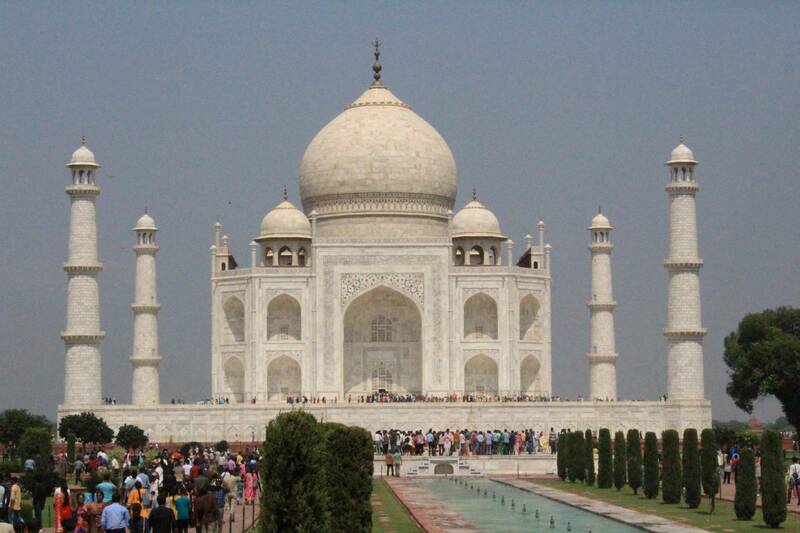 Subsequently the researchers signed the so called Declaration of Delhi. The Declaration can be seen as the cornerstone for the future of research between Indian and German scientists in Vocational Education. It will strengthen the research infrastructure in India and will help to develop new fields of research with the focus on sustainable Skill Development of workers in India. The conference was a fruitful closure of the CMIS. Not only because of the Declaration of Delhi the participants felt positive and optimistic about the future of research of Vocational Education and Skill Development in India. Detailed information about the Skill-conference in India are available in the PDF file. At our Cologne Summer School “Graphic Literature” the students could follow the footsteps of German poets like Herder, Goethe and Hesse, who were longing for this fascinating country with all its cultural, religious and natural diversity already a long time ago. 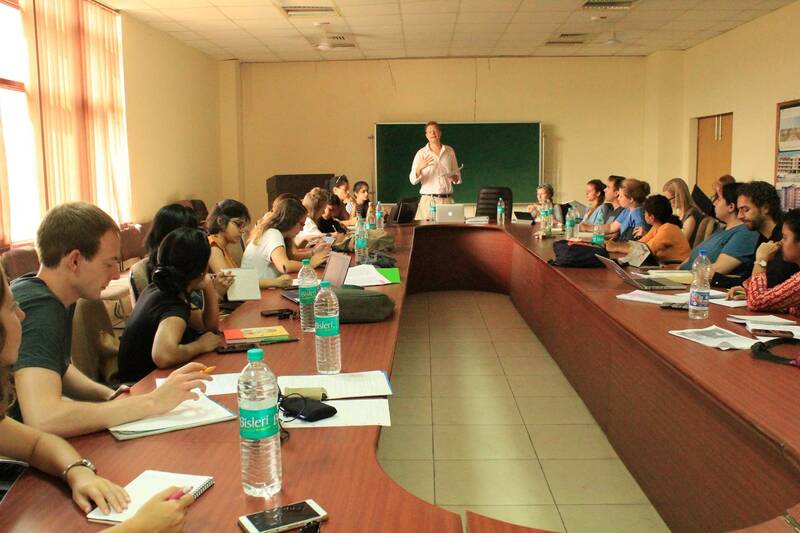 Organized by the University of Cologne in cooperation with Jawaharlal Nehru University in New Delhi and Doon University in Dehradun, 13 German students from different faculties and universities as well as 10 students from the Indian universities participated in the third edition of the Cologne Summer School India. The lectures on post-colonial theory and graphic literature prepared the ground for an overcoming of a situation of talking about India instead of talking with India by having fruitful discussions with the local students that certainly deepened intercultural awareness on both sides. 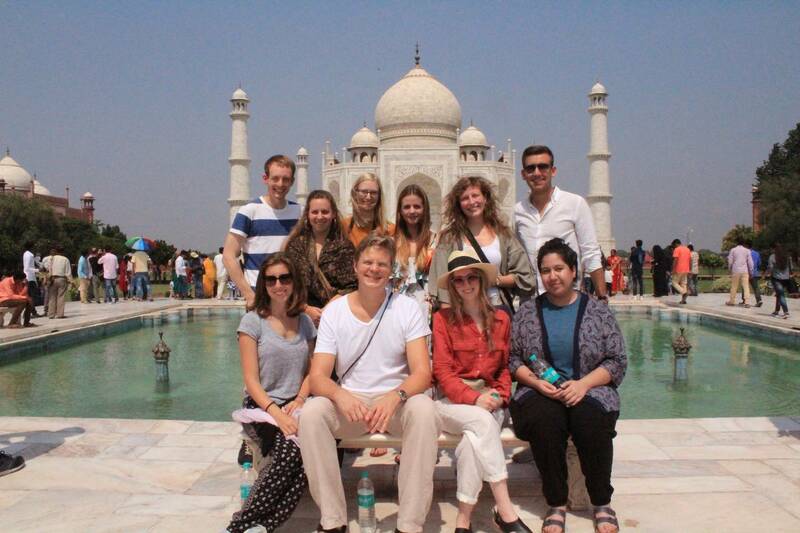 Apart from the lectures in the mornings the program was filled with various excursions, starting with the stunning Palace of Love, better known as Taj Mahal. 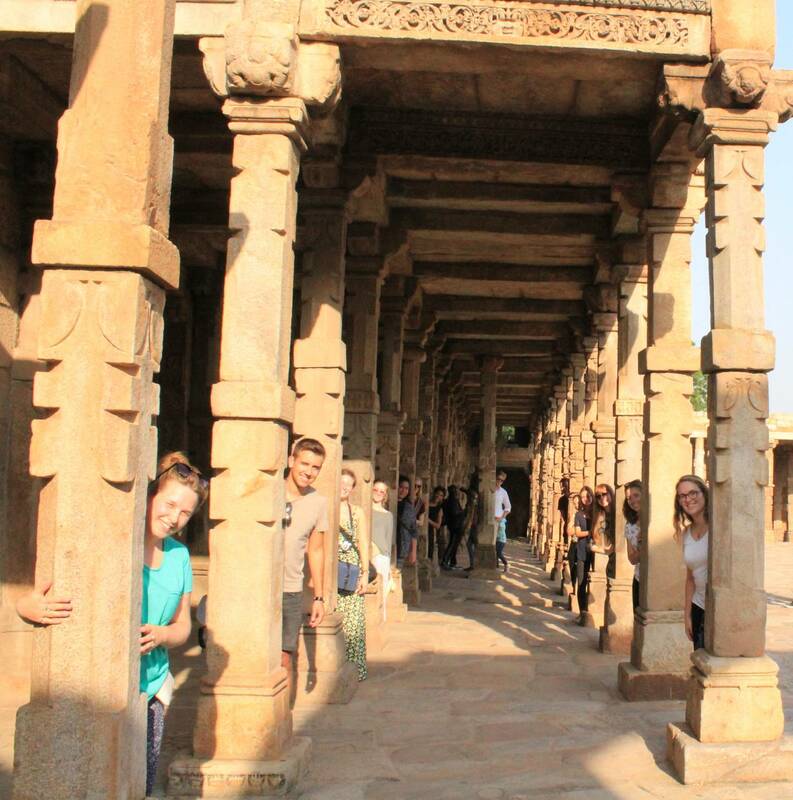 Exploring the sites of Delhi the students got to see remains of the old indo-islamic period such as the minaret Qutab Minar or the beautiful mosque Jama Masjid as well as the modern Akshardham Tempel or the Connaught Place. An authentic shopping experience at some of the Indian colorful, noisy and fragrant markets was not missing either. 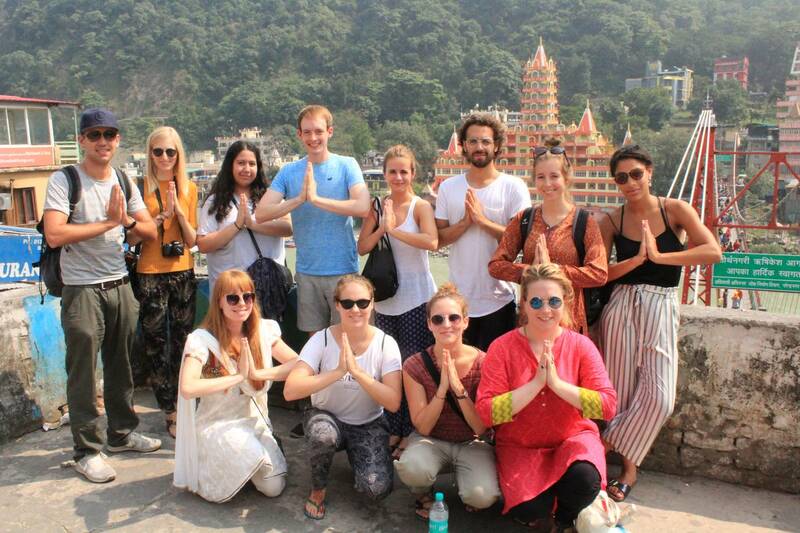 The journey continued on to Dehradun in the foothills of the Himalayas with a daytrip to Mussoorie, passed Rishikesh, the world capital of yoga and ended in the holy city of Haridwar, known as the “Gateway of Gods” where the students could take a glance at the fascinating Hindu ceremony Ganga Aarti. 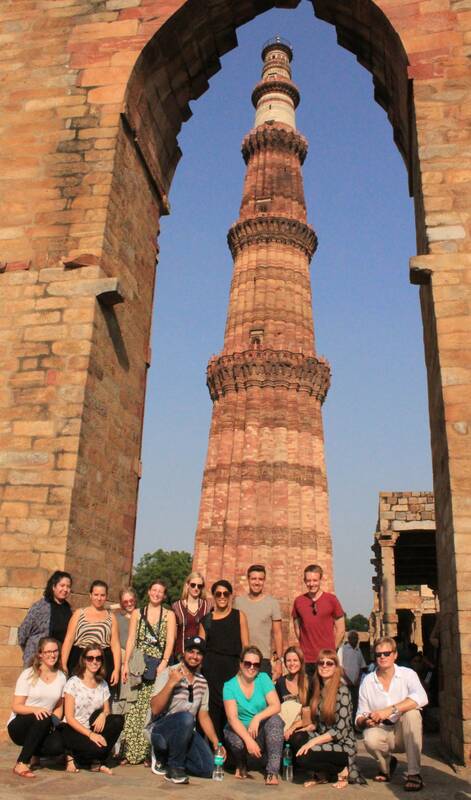 The Cologne Summer School “Graphic Literature” was a great way to learn about the Indian (post- colonial) history and culture in those days as much as today. By bringing students from different countries together, a place where ideas could interchange and doors were opened was successfully created.